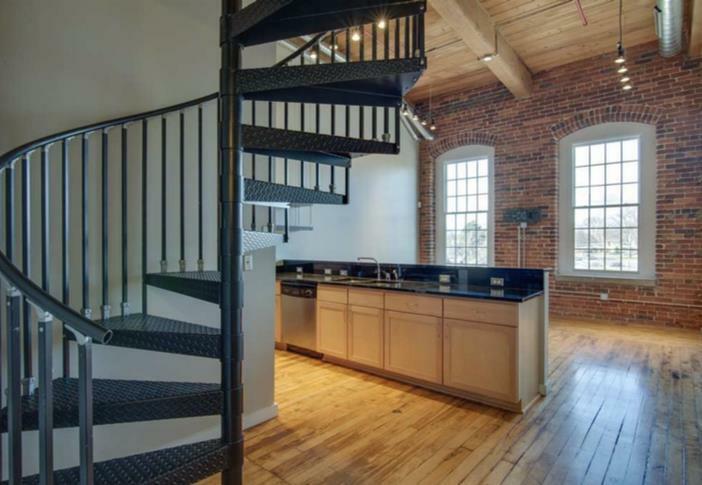 Soaring ceilings, exposed brick walls, and original HW floors are just a few of the stunning features of this condo. 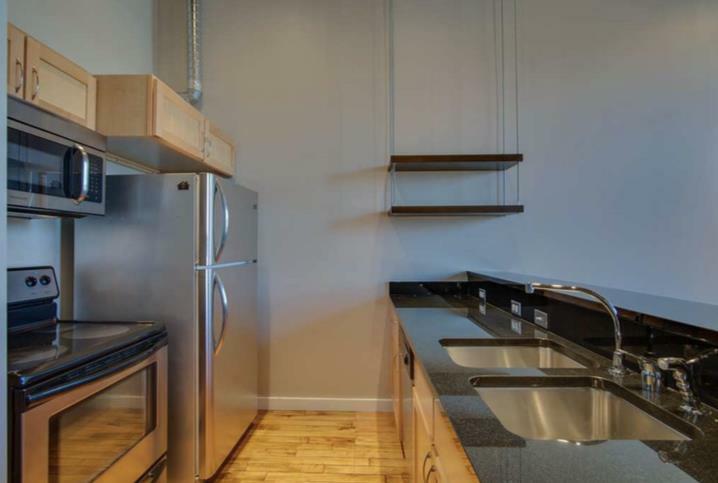 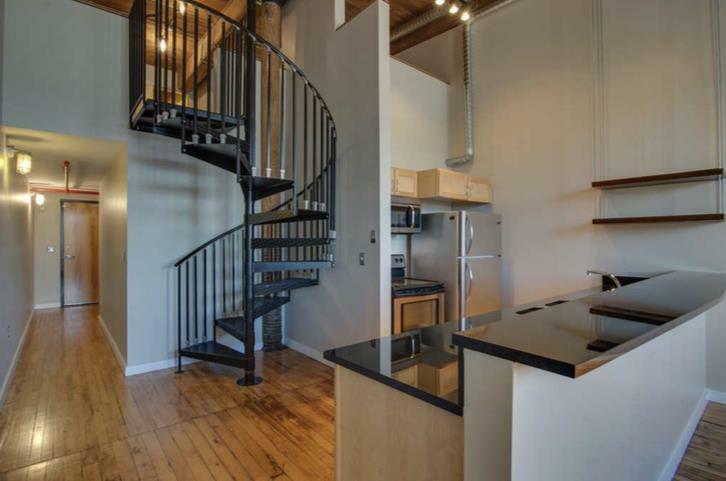 The urban loft layout is a great 2nd BR or bonus/office space. 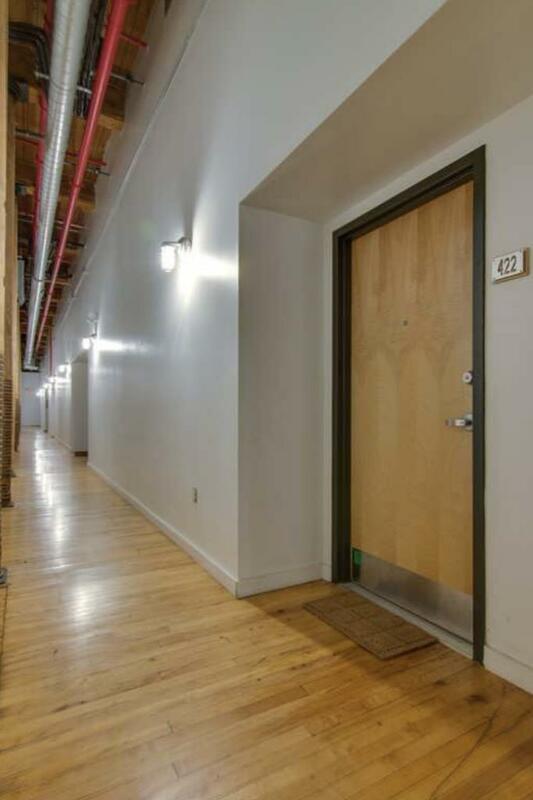 The unit is conveniently located close to the pool, fitness center, elevators, and entrance on Rosa Parks.